Hula dancing was developed by the Polynesians in the Hawaiian islands hundreds of years ago. It's a complex art form, with hand motions to represent words of a chant or song. Many common ritual chants or songs will tell stories about their past or religion because Hawaiian history is all an oral history passed down through these dances. Wouldn't you like to be able to portray an entire history just through singing and dancing? 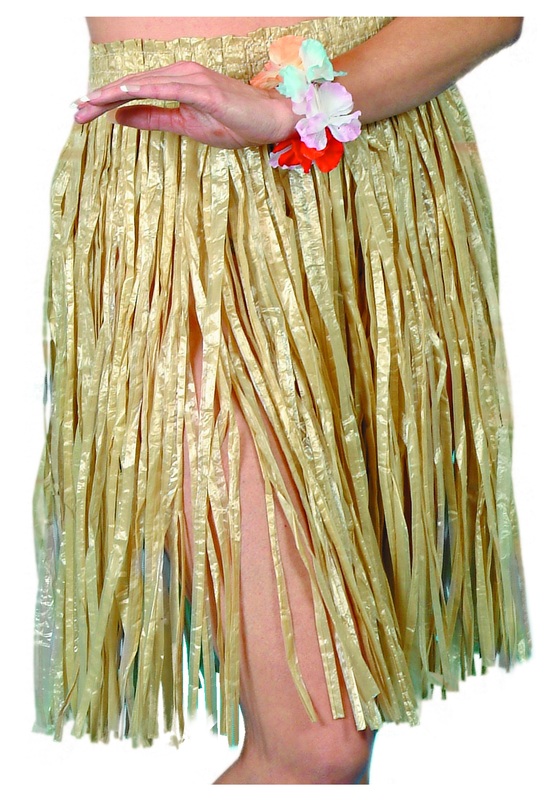 You might not be trying to tell a complete history of your ancestors with this Women's Hawaiian Hula skirt but you can have some fun at your next Luau with this festive addition. You can also add plenty of other things such as coconut or shell bras and leis from our site to finish your costume! If you're hosting a themed party don't forget to check out all the other stuff that we have for decorations too!